The Evening Sun is published daily except Saturday, Sunday and Christmas by the Snyder Communications Corporation, 29 Lackawanna Ave., P.O. Box 151, Norwich, N.Y. 13815. The Snyder Communications Corporation is not responsible for advance payments made to carriers or dealers. Payments of 3 months or more may be mailed to The Evening Sun and will be credited to the current carrier. The Publisher reserves the right to change subscription rates during the term of a subscription upon advance notice. This notice may be by mail to the subscriber, by notice contained in the newspaper itself or otherwise. Subscription rate changes may be implemented by changing subscription's duration. 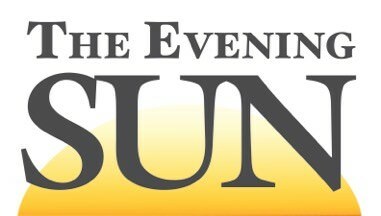 The Evening Sun is published via the Internet primarily as a means for those living away from Chenango County to keep up on the news in their hometown. It also serves as a local news link to the global community. Selected news stories, columns and features are published on the website daily in whole or in part. The web pages are updated Monday-Friday by 6:30 p.m. EST.